I saw this on Pinterest. I love it! 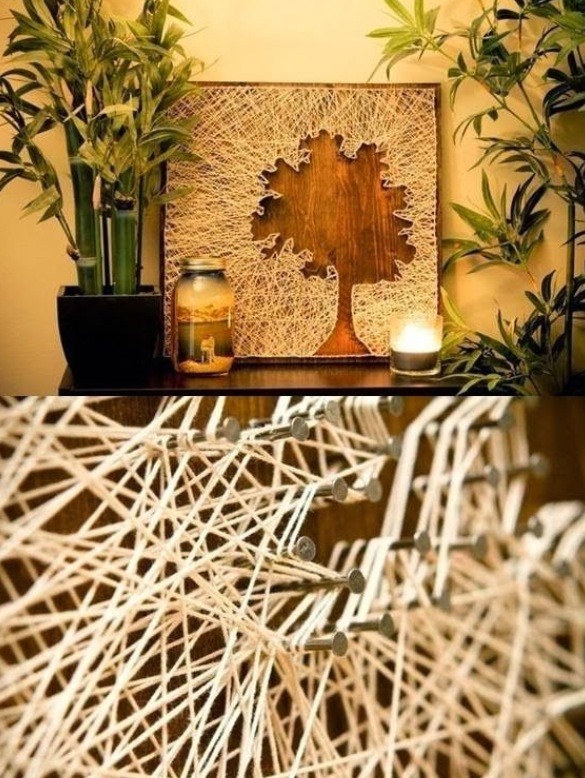 All you need is a board, nails, string and a picture of the silhouette of a tree. 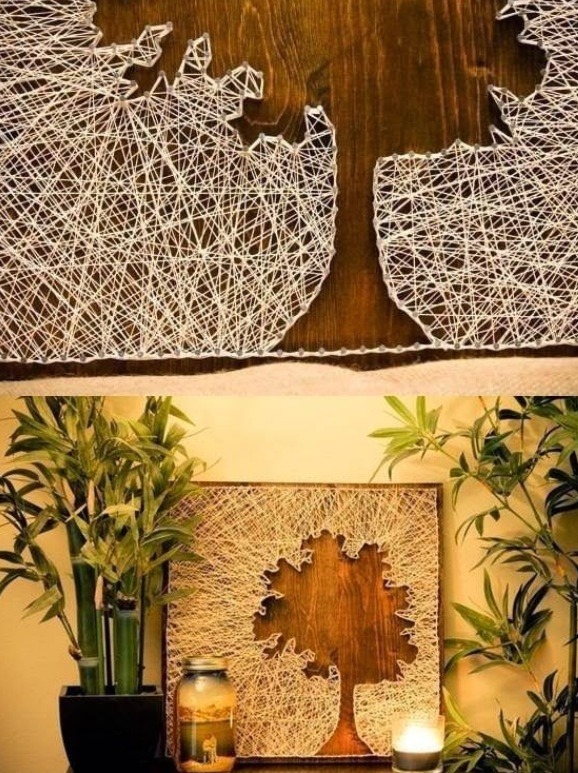 Place the silhouette of the tree on the board and trace it with a pencil. On that traced line begin to hammer in the nails. You also need to frame the whole board with nails tight together. Then string from the outer nails to the inner nails of the tree. Go back-and-forth until the string is full.